To all of our existing customers: we appreciate you. To all of our potential customers, we look forward to meeting and serving you soon! Air Supply Heating & Cooling came out and did a tune up of the air conditioner unit. They had a deal going, where you could have somebody come out and make sure everything was running properly.He was here for about 20 or 30 minutes, and he said that everything looks good. He cleaned up a few things, and said that the refrigerant looks good. After a winters slumber, my A/C would not wake up. I called Air Supply to have a look. They showed up and were able to quickly diagnose the problem and make the repair. They also cleaned a bunch of debris from the unit at no additional charge. The workers were kind and knowledgable. I had a problem with my A/C unit so I called a few companies to come out and give me a quote. I didn't know who to call since I am not from here. They were not only early and dressed in a uniform unlike other companies that had come out, but they were polite. I was pleased they were so honest with what was going on with my system. They weren't trying to over charge me on things I really didn't need. I would highly recommend to everyone to use AIR SUPPLY!! FRIENDLY FAST AND HONEST!!!!! When we have problem with air conditioning in home, which is an old installation, we always call Air Supply Co. They know exactly what to do. This is the second time Yes AC did work for me and this is the second time I'm completely satisfied with their service. They are professional, efficient and service oriented. Good Job! I'm very satisfied with the AC repair service. My AC decided to conveniently stop working at about 6:30 PM one evening. After paying $180 (emergency call) to someone to come out and check my AC on a Wednesday night, I was told that the compressor was bad and the whole unit needed to be replaced and would cost $3000-$5000. I called several places and came across Air Supply Heating and Air Conditioning. They were quoting one of the lower estimates and had a 1 year parts & labor guarantee. A technician arrived on Friday and replaced the unit as promised. My house was cool again :). Today. I asked other company and recommend to replace the whole unit for 8K. I called Air Supply and checked my unit all they do is replaced a bad motor for $360. David and Robert a very courteous and honest on what they do. Thank you again for another excellent work. 10 months ago....I am so glad that I found Air Supply. The tech are very professional and knows how to do their job. I am very satisfied with the work that Itzhak provided and the pricing is reasonable. He did a thorough checkup on the system and never leave the site until everything is clear to us and his job is done right. Great work and I will recommend them to my friends and neighbors. Thank you Air Supply. Affordable AC repair. I was looking for a service nearby, so I looked them up yesterday morning on the mobile. I called them and we scheduled the service for the afternoon. The technician was quick and thankfully, the problem was not very serious. He could fix it in 30 min. The ac unit is up and running now. Quick air conditioning repair, the technician explained why the ac went out and changed some part. When he left, the ac was blowing cold. Air Supply installed our central air conditioning in our property in Las Vegas 3 years ago and has been maintaining it ever since. The service guy has always been wonderful and answers all our questions regarding the maintenance. I very much recommend him to anyone who needs central air service. We had a very good ac repair experience with Air Supply. Our main A/C unit went out this weekend and we had a technician come on Sunday afternoon. The service was quick, efficient and didn't charge us an arm and a leg. When my Mom's heater was not working i called those guys. They sent out ron who was able to diagnose the problem and in a few minutes we had heat again. Thanks Air Supply! Had air conditioning AC issues and called to have the air conditioning repaired the asap. I am very happy I called them. They were very honest an took the necessary time in order to fix my AC problem. The last air conditioning company I used really was not willing to properly fix my unit and insisted I buy a new one. Air supply gave pricing of visit over the phone and assessed AC and gave repair pricing before performing work. AC was working 30 minutes later. It was a real struggle last year for our AC system to keep things cool. So we called Air Supply in the beginning of the summer season to see if the air conditioning needed to be repaired or it was too old for that. After a technician came to diagnose the problem I could feel the difference in the air temperature. He recharged our old AC system or sth. Well done and thanks for the service. Air Supply heating and air conditioning company have taken care of my residential ac and furnace repair needs for several years and they do a fabulous job keeping me cool in the hot Las Vegas summers and warm in the winters. Their residential heating and ac maintenance ensures that my units and system runs at high performance year round and keeps my power costs down. They have an excellent HVAC service support staff and on site HVAC technicians to assist in working timely and effectively. I called Air Supply last year for an emergency furnace replacement when my old one died and was quite frankly beyond heating repair. Air Supply were out the same day and after a thorough heating inspection, they gave me a fair price quote and did the heating installation very quickly, at the exact time and on the day of my choice. I called them back this year for a furnace tune up and the service was as usual top notch. If you need a residential or commercial heating or ac company in Las Vegas, call Air Supply. They won't let you down! I have been using Air Supply for ac repair needs for about 10 or 12 years. I’m very satisfied with their work ethics and professionalism and they have fair prices. They have been a big help to me. We are long term customers and we are happy with their air conditioning service. What an awesome company! I was at home visiting with my folks from out of town, when all of a sudden my heating goes out. Not good with my 83 year old mother in poor health. I called Air Supply. The office staff was friendly. A technician was out to my home in less than 1 hour. He was very kind. He knew within 10 minutes what was wrong with my system. He performed the repair and had my heat up and running within 20 minutes of his arrival. THANK YOU AIR SUPPLY, from my family to yours.. I WILL recommend your company to any and everyone. FIVE STARS! I'd give 10 if it was an option. Thanks again. One very satisfied customer. 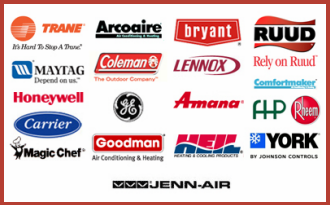 Air Supply Heating and Air Conditioning repair company has been serving our ac units and furnace for the past decade. When our 16 year old ac unit in our Las Vegas home finally bit the dust, a fantastic team of two air conditioner technicians put in our new system. It was one of the best experiences my wife and I have ever had with a service company. I mean, they have always provided both outstanding residential and commercial heating repair and air conditioning maintenance etc (at our home and office) but this most recent visit was even more impressive than usual. They have very fair prices and are always extremely responsive whenever we need any kind of HVAC maintenance or service. Seriously, whether you need simple home or commercial air conditioning or heating inspections or complex installations, we recommend Air Supply! I first called Air Supply Heating and Cooling when I was told by my 'usual' a/c and heating repair company that I needed a new ac unit so I called a few other ac companies to give me a second opinion. Air Supply was recommended by a co-worker as they do the commercial heating and ac at the office where I work. The technician came out and asked what the basis of the dire diagnosis was and then began his own investigation. He did a full air conditioning inspection and said things just weren't adding up to him and he was right. It turned out all I needed was a new blower motor capacitor and needless to say, I was ecstatic to pay the $250 repair bill rather than get a new system for thousands. Since then I have been a loyal customer and will continue to be! I have given their number to several other people to. I recently called their heating contractors for furnace repair service at my Mom's house. She had recently paid another company for a heating installation and had come home from the hospital with the new furnace not working but Air Supply were there later that afternoon and got their furnace contractor got it working again in the one visit. Always great service and fair prices! I just can't say enough good things. When you need residential heating maintenance or air conditioning service in Las Vegas, call these guys and you won't be disappointed. Air Supply Inc came and cleaned our dryer vent, which was way overdue. Our dryer is on the second floor, so they needed a ladder to get to the vent from the outside. The crew that was at our house was quick, professional, and courteous, and our dryer runs so much better now! I would absolutely recommend them and will use them again. We have used Air Supply Heating and Cooling twice now for our residential heating and air conditioning. The first time was for air conditioning repair earlier this summer. I called and based on some of the symptoms, it sounded to me like the compressor was shot. I was expecting an expensive ac repair but rather than follow my assessment, the air conditioning technician from Air Supply did a complete air conditioning inspection and found that the ac unit only needed a new switch and a capacitor. They even did our air duct cleaning the same day to keep it running optimally. I called them again recently for a furnace repair. I felt a major coldfront on a day that my heater finally gave in for good and needed to be replaced. The heating contractors were here the same day within hours of me calling and to our surprise began the heating installation almost right away. They worked tirelessly during the heating service to make sure that we would be comfortable through the cold weather. Their level of service is second to none and we will continue to call their HVAC contractors for all future air conditioning and heating maintenance we might need and recommend their home and commercial heating and ac service to our friends. We recently bought our first home in Summerlin and our home inspector, Glenn Curtis Master Inspector recommended that we have our AC and furnace checked more thoroughly. We carried out some online research looking for a residential air conditioning and heating company and contacted Air Supply to set up an HVAC maintenance and tune up appointment (which they scheduled the same day). The air conditioning tech that came out was friendly and professional. He did an outstanding job on the ac and furnace inspection. We asked him about several photos that Glenn took of our a/c and heat pump unit which is located on the roof of our new home. The residential heating technician from Air Supply agreed with Glenn's recommendation and we gave him the green light to go ahead with the heating repair and replace the said components. He also added additional freon and even washed our permanent filter and installed a ptrap in our condensation pipe. Thanks for doing such a great job on our air conditioning repair and heating service. We look forward to having you come out again for our next ac or heating maintenance call. I talked to David at Air Supply on Tuesday morning at 8:10am to give them the green light. He told me that they would be at my house that same day at 9:30am. Two techs showed up on time and the crane was right behind them! They all looked clean dressed in their uniforms and were very professional and polite. They immediately started the job. As it was being installed, Ben, (the first person I met who came over the day before) showed up to make sure things were going smooth. It was installed within a couple of hours, but the unit wouldn't start. This is when I saw how professional this company is. One of their field managers Robert immediately came out and all found out that the wiring was damaged when I had my roof resurfaced by a different company. They replaced the damaged wire and got it running. I am extremely satisfied with their performance. I was asking questions about heat pumps in general, and Ben was so informative. I learned a lot about how they work and how to keep it running for years. 5 stars to Air Supply! Great Job! Lance was very nice and professional. He cleaned out my furnace after a air scent strip got sucked up into the fan causing a load noise. I will use this company again for my duct cleaning and any other heating or cooling issues. We were looking to replace our 15 year old Heating and Air Conditioning Split systems with some new more efficient equipment. After getting about 9 bids we selected Air Supply Inc. Were they the cheapest, not quite but very close, were they the most expensive, hell no. And in the end they actually did more than the other estimates which would in fact make them the cheapest when all was factored in. All the bids were for the exact same work with the exact same part numbers to ensure we were getting apples for apples. Air Supply Inc. was super friendly and quick to respond to a few changes to their estimate so we were looking at the same thing from all vendors. What really set Air Supply Inc. apart from the other vendors besides the price was their approach when I asked them how they wanted to be paid? Almost every company wanted a very large down payment before they even started, Air Supply Inc. said half when all the equipment was delivered to my house and the other half when the job was complete and I WAS SOLD. That’s a sign of confidence and goes a long way in my book. I gave them the authorization to proceed on a Saturday morning and they were at my house at 8 AM on Monday as promised. The guys that showed up were all professional and polite. They took care to do as little damage as possible getting the units out of the attic or messing up my house. They did an outstanding job from start to finish. They had told me it would take about 2 days to install but due to a few issues with the suppliers it took 3 days. They were here each day on time and worked the full day. When they were completed they cleaned up and made it look like they hadn’t even been here. They also sent in a drywall expert who repaired and repainted any damage they did and he did an awesome job as well. After everything was done and they were gone, I asked if they could paint the new flues on the exterior roof. Within a few hours, two staff members were here and making the change. I would highly recommend using Air Supply Inc. for any of your Air Conditioning/heating needs. They may be a small company but they have what it takes when it comes to customer satisfaction. You can pay more but I don't believe you will get more than you will with Air Supply inc. I don't know how to tell you how extremely impressed with this company I have been all along! They are always on time, very professional, never in a hurry and aim to get the job done right. This last visit, Robert and David were awesome! They knew things that other people (from my home warranty plan) had a hard time figuring out. They took as long as they needed to take, were very patient in making sure I knew what went wrong and how to communicate to the plumber some things he needed to uninstall, and even communicated with the plumber, over the phone, the whats and whys of it all. They did not leave until I was confident, and as always, they were right and my complicated situation was solved. Then they, as before, called back a couple days later to make sure everything went well and that the problem was solved, and let me know to be sure to call if I had any more questions about this situation. I highly recommend these people! The receptionist called each of the 4 appointment times to allow me and my wife to know that the technician was on the way. Each appointment was met. The initial pressure test that I witnessed unfortunately did not come close to normal. Air Supply went back inside the condo and found the leak in the air handler. I needed a replacement which I knew would be expensive. The owner made calls back to me and agreed upon a competitive price. I saw the TV show fixer upper and the TV remodel involved a new air handler for $ 4,000.00 . I smiled but to assist the industry, I won’t mention the negotiated price. I also went on the internet to see the question of the day…if one were to select the best hydronic air handler what would the resulting answer be…well one reply came back 1st Company. This really put my mind at ease as Air Supply had already mentioned that the choice would be 1st Company. The unit arrived when I was at work and my wife called me to say that Air Supply made the decision that caution should prevail because of a fire sprinkler pipe near the old unit. I compliment the company because they are out to protect you and your home. I can imagine another company wanting to get paid and forcing completion attempts. The handler was brought back to their office and I approached our condominium’s maintenance supervisor who took it upwards for various approvals resulting in an outside fire sprinkler company having to do cuts and rerouting of sprinkler piping to go around air handler access. Since the situation was considered a building defect, I did not have to pay and Air Supply was complemented for its patience. Air Supply also had a supervisor view the changes made so permanent access would never be an issue. At the next timely appointment, my wife said that 5 air supply technicians spent hours lifting and installing the heavy hydronic air handler. My wife said that it was refreshing to hear them make positive comments about our flooring and crown molding (how many times has a handy man been in our home mentioning nothing about our pride and joy?). I definitely know that the job process was performed honestly and correctly. Our master shower was only coming out luke warm for a long time. Yes a plumber was finally called and yes, he replaced the Moen cartridge but he said that it was not an issue with the scald setting. He said to call an air conditioning company. With the new air handler in, the master shower comes out steaming hot. Air Supply was the expert in diagnosing the handler leak and their expertise in repairs resolved more than what they know. Air Supply, unbeknownst to them, also helped us with a happy ending with our shower. Thank you as we’re now ready for the heat. What a pleasant surprise to find an honest, reputable HVAC company. Took a leap of faith & used a coupon I received in one of the advertisement mailers. Ben, the field supervisor performed my tune-ups & took the time to explain how my units worked. Everyone, from Cindy in the office staff to Ben, field supervisor were very professional & prompt in handling my service. On a scale of 1-10, Air Supply gets a 10 for honest, reputable & professional service as well as reasonable pricing. I called Air Supply to have my air ducts cleaned. I had some issues with the initial service, but when I called with my concerns they sent head technician Michael and his assistant Nick to resolve the problems. They were incredibly knowledgeable, polite, and more than accommodating. They are truly committed to making sure the customer is completely satisfied. I couldn't be happier with their service and will definitely use them again. A very professional, courteous, affordable & ethical company. I was able to get service in one day. Unfortunately, I needed a new A/C unit. The work was completed in 4 hours!!! Everyone at the company treated me with respect & dignity. I don't usually make recommendations, but for this company I would gladly refer them to any person needing service. They EXCEEDED my expectations in timeliness, proficiency, cost containment & ethical business practices. I now have a new A/C unit that is QUIET & working very well. All three service techs who came to my house were polite and did the work far quicker than I thought. YOU GUYS ROCK!!! Also, all the people who helped me on the phone excel in providing great customer service. I called for a servicing of my 2 AC units while they were jammed up with business, despite that they managed to fit me in for only 3 days later at *my* convenience. The Tech arrived at the very beginning of the time block and was very professional and pleasant. Since this was a servicing call we talked about the history of the units, where he took the time to educate me more than the last 2 outfits I had used to service my units with. He made a couple of recommendations to increase efficiency and showed me how to do these low cost, DIY projects, where I could buy them the cheapest, and then set about to service and clean the units. The cost of the servicing was very competitive and after he was done we discussed replacement costs of the units had one of them needed it, I found Air Supply to be highly competitive in the pricing of replacement and installment. 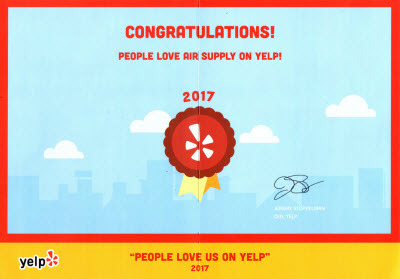 While no one ever wants to absorb the cost of a AC replacement, the courtesy, professionalism, and most importantly care Air Supply Heating and AC shows their clientele was such that I will not hesitate to use or recommend them for all my AC needs from here on. There's a reason why these guys have so many positive reviews, they make the effort and go the extra yard to treat their customers as good as they possibly can. 1. Ben Yarkoni gave me an honest evaluation of the 2 parts I needed plus some Freon vs. other contractors who tried to convince me that I needed an entire new compressor costing $2400 to $3600. 3. Prices quoted for parts and labor was very reasonable. 4. Air Supply uses American Made parts. 5. Ben even took the time to educate me about keeping the unit cleaner so it will run more efficiently. On 6/22/2015 Ben spent nearly 3 hours working under the 107 degree sun to repair one of my 2 compressors. He also inspected and tested my entire second system at no extra cost. The repaired unit now seems to be cooling even better than it did when it was new. Other contractors have been in business here much longer but I judge people and things on quality not quantity. I put more value on recent ratings vs. those from years ago or some reviews that may paid reviews or paid listings. Bottom Line: In my opinion, It doesn’t get any better than this. One of the best AC companies in Las Vegas. As a homeowner here in Henderson now for over 9 years I have met some pretty questionable characters, but I must admit the folks at Air Supply really do set the bar very high. Their tech Ben Yarkoni was on time, honest, fast, and easy to work with. He also explained exactly what was going on each step of the way. Also, their staff was top notch providing up to the minute communication and call backs letting me know when the technician would be arriving. They came the same day as well. My 4 ton unit is an older system so I thought I may need to replace several components, or maybe even the entire system, but, luckily, and I do mean "luckily" I ended up simply paying for a part that had gone bad. Thank you again "Air Supply" and Ben Yarkoni for being HONEST, on time, and dependable. I really appreciate it! Cheers! very impressed with the services I received today. We had an excellent experience with these guys. Isaac was a great help and relief over the phone, and he got someone to our place very quickly. Ben helped us out at the house, and he was really smart and really helpful. We had a lot of problems with our air conditioner and a lot of "patch fixes" from other companies that really did nothing but leave us stuck in the summer heat. These guys took care of us, all in one day, and we haven't had a problem since! My air conditioner went out yesterday after 6PM, I contacted this company's office and they set up an appointment for between 7:30 to 8:30AM. I was contacted by Cindy at the office at 7:45AM letting me know the technician was on his way. Ben was the technician and I advised him that I had turned off the unit the night before and when I turned it back on it was cooling down, but I didn't want to cancel the appointment, in case there was an issue that could be handled now to avoid the loss of air at another time. Ben took the time to show me what the inside of the unit looked like and he noticed that the "battery" was beginning to leak but could last for a while. I told him to replace it now. No pressure from Ben at all. As an older senior citizen, I am very wary of repair companies, who think they can up charge me when the repairs are not needed. I just received a call from Isaac, asking how I felt the issue was handled, this was less than 30 minutes after the tech left. That tells me they really care about their business and more importantly, their customers. The best experience we've ever had dealing with an air conditioning company air supply inc have Excellent customer service and work to The crew showed up on time and were very professional. We received personal service from the owners David and Robert thank u again air supply inc.
he came so fast and he fix the problems fast. I was desperately in need of a repair on my AC when it went out in the middle of this summer. I had first contact with David over the phone when I booked with Air Supply Inc., he was extremely helpful and quick to send over a technician. Ron arrived less than two hours later, he was very upbeat and friendly. He explained what needed to be done and my options. He was patient with my questions and fixed the problem immediately. I highly recommend this business for any AC services or problems. Very responsive service. Itzhak was very helpful over the phone prior to scheduling a service technician. We discovered that the compressor was out and he walked me through the pros and cons of just replacing the compressor on a 16 year old unit and swapping out the unit itself. I decided to have them swap the ground unit out. The technicians arrived and promptly went to work. The entire job was completed in about an hour and a half! Within 5 minutes the house was back 78 degrees. I received a call shortly there after from their shop asking how the service was and then again by Itzhak, the owner himself just to be sure I was satisfied. I needed to replace my AC and heating unit, both over 25 years old. Air supply responded almost immediately, gave me a fair price, and financing options. They provided service quickly and efficiently. Their technicians were friendly, and worked diligently. I would highly recommend their services. Happy homeowner! Michael and Victor did a excellent job cleaning my Air Ducts : ) Michael explains how, what products and where they will be cleaning. The quote was true to the price with no hidden fees : ) They were punctual, courtesy, friendly and dressed very neat, clean, and did FANASTIC job on the clean up. Notice right away my allergies and sinuses improved from Air Duct cleaning. Very impressed by Michael integrity and ask for a quote to replace my 32 year old Furnace and condenser. First please forgive me my English grammar. I will try my level best to write this review so everyone will be able to read it. Early this week my heating/ac on the roof died on me the tech that diagnosed the problem say it couldn’t be fix and has to be replace so he called his quote manager Philip from Las Vegas Air conditioning, and he came over to give me an estimate the cost to replace the unit. I was shock of the price that he gave me. So I told him I’m going to shop around and see if I could find someone that will give me a lower price to replace the unit. He told me I could never find a price lower than his and you what? I found five other company that will do it for half the price. But they was one particular company by the name Air Supply Air Conditioning & Heating that was just fabulous!! The owner of this company Itzhak Dahul a Jew from Israel was so kind, very talkative and funny I felt that I knew him as friend for a long time. So we were joking around and I told him he’s talking to a Chinese Jew so he better give me a good deal!! He must have called me a dozen time to work out a suitable price that I can afford, but I told him money is going to be very tight to pay for this unit because I didn’t expect the heating/ac going to die on me during this holiday season. He is going give me another Christmas present which is on order a Yamaka! He told me because Christmas is around the corner he going to give me a deal and part of it as a Christmas present to replace the unit. Also he sold me a very good roof top unit brand name: Carrier 3 ton, 16 SEER heating/ac which is going save me half of my power bill. Itzhak was such a responsible person he told me the heating/ac will be up on my roof the next day once we had the deal agreed. He schedule everything on time and his installer Jose and Victor was here right on time, very professional had the old unit removed and replaced the new unit Wow!! My heater was running all in just 3 hours work. Philip from Las Vegas Air Conditioning is a Blood Sucker!! Thank you and thank you Itzhac for helping me and the US Vets!! I would recommend Air Supply Air Conditioning/ Heating to anyone who has heating/ AC problem. Thank you everyone for reading. Thank you air supply Inc. For keeping me warm. I have been a long term customer of Air Supply Heating and Air Conditioning company. They do all of our air conditioning repairs and maintenance in the summer and our heating service in the winter (we signed up for their HVAC Maintenance Agreement years ago). Most recently our heat wouldn't turn on so we called Air Supply. Itzhak showed up exactly when he said he would, did immediate troubleshooting and diagnosed my heating problem in minutes. He had the necessary parts with him and the expertise to do the heating repair and fix it in no time. This friendly heating technician solved my problem for a fraction of what other a/c and heating companies would charge. I could not be more satisfied! Air Supply Heating and Air Conditioning company always make stressful situations stress free. Last summer, my air conditioning unit was giving off this horrible noise and I thought for sure I was going to have to replace it, but Air Supply Heating and Air Conditioning came right over and made a simple a/c repair that was a fraction of the cost of a new air conditioning replacement. It was so refreshing dealing with this company and getting my air conditioning problem solved so easily. Now I call them for all of my air conditioning and heating repairs. I just called them out for a fall HVAC preventative maintenance and tune up check and all was well. I can't thank them enough for their professionalism and I would highly, highly recommend them to anyone who needs any kind of air conditioning or heating service. Thanks again for everything! You're the best in Las Vegas hands down! Michael B. and Victor were very respectful, professional and courteous. They did a great job and I will go to them in the future! TOTALLY HONEST. 100% RELIABLE, REASONABLE COSTS are the best words to describe my experiences with Air Supply over the past 2 years. In 2015, Ben replaced an a/c compressor fan and added more Freon. Today, Ryan found the problem with one of my gas heating furnaces (stuck pressure switch due to a clog). After he was done, Ryan stayed a few extra minutes and answered several questions I had about my systems. 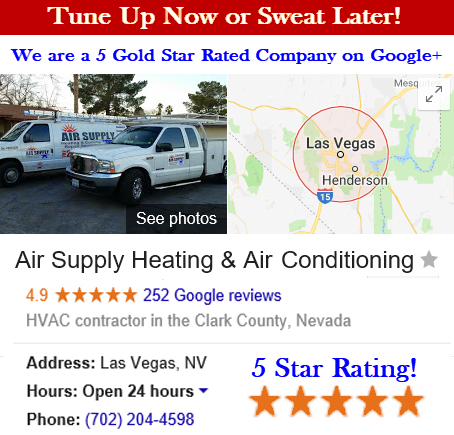 I find it VERY hard to believe that ANY other Heating & A/C service provider in the Vegas valley could surpass my experiences with Air Supply so I plan to call them again if/when needed in the future. NOTE: In addition to being a homeowner, I am a journalist and consumer advocate so I insist on the best services in all industries. We are from Montana and found your ad in the Review. We are SO pleased with the work Michael and Adam did for us. He found fiberglass in the ducts which was a sign of not being cleaned since the condos were built! Mary was a pleasant voice to "talk" to and very accommodating to our needs. We are going to have them install a WIFI thermostat as well. Their prices are very reasonable, friendly, on time, and efficient. We will definitely recommend them to everyone we know! Thanks for a great job well done! Of the 40 Years I've been in Las Vegas(at the same location) I've finally found a Respectable & honest Company!!!!! From Lance & Jose in the field to Mary & Cindy in the office everyone has been very professional & courteous! Thanks for all your help & consideration! HIGHLY RECOMMENDED! The Best Experience I've EVER had with a contractor. They responded quickly, gave me NO Vacant promises for the work as they needed to inspect my A/C unit to give me a proper estimate. Sadly the A/C unit needed to be replaced and they did it ALL within hours of their visit to my home. The work was fast, the price was better than the other estimates I received and most of all they got the job done quickly! I HIGHLY RECOMMEND Air Supply Heating and Air Conditioning. Just purchased a new air conditioning unit and heater unit as a pkg got a good deal. Carrier is the brand. service I received was top notch and install was timely. 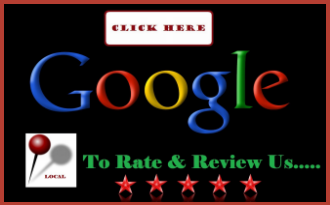 I am very satisfied with my overall experience with this company and recommend them.